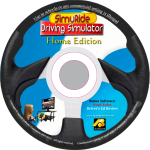 SimuRide Home features a particularly special exercise; rock slides! 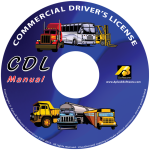 This isn’t so much because rock slides are common throughout the US or the world at large, but rather for drivers using our driving simulator to practice a critical driving skill – defensive driving. Throughout the driving course, the other cars on the road obey all traffic laws, but in real life this is no always the case; and even when it is, it’s essential that you as a driver are aware of the other conditions around you, that may be affected by your driving. With the weather warming up, there are a lot of different types and sizes of traffic you need to be aware of on the road. The falling boulders in the rock slide featured in SimuRide roll across the street unpredictably, requiring drivers to pay attention; the rocks serve as stand-ins for a child chasing after a basketball across the street, a pedestrian out for a walk or someone riding a bike, motorcycle or moped. People are motorcycles and bikes, as well as people on foot are now going to be seen out and about more too – the important factor being is the necessity that those of us behind the wheel or controls of any other vehicle, need to be on the lookout for them, in order for them to be seen, in order to avoid potentially fatal accidents. Use your rearview and side mirrors often, and also make sure to look over your shoulder, in order to check the “blind spots” or the gaps between your mirrors; so that you can be as aware as possible of your surroundings, and not be caught off guard. 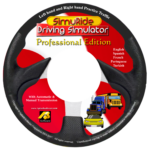 This reflects another feature found in all versions of SimuRide; in addition to the 3 monitor, panoramic view offered in SimuRide Professional, all versions of SimuRide feature all three mirror arrangements, as well as the function to turn the field of vision to the right or left, so drivers can get in the habit of checking their blind spots, and stay aware of their surroundings.